Investigations of emotion regulation, which includes both subjective affect and observable behaviors, could benefit from widespread adoption of multi-informant approaches. Currently, informants are infrequently used when studying adults, due to the complexity of interpreting differences among multiple reports. To identify factors that predict disagreement between informants, this study evaluated self-reported and partner-reported emotion regulation abilities for each member of 81 adult couples. Ratings of each partner’s perceived stress, symptoms of psychopathology, couple satisfaction, and intimate partner victimization were collected as potential sources of discordance. Intrapersonal characteristics appeared to contribute most to diverging reports: women and men experiencing higher stress (and marginally their psychopathology) reported worse emotion regulation abilities in comparison to their partners’ ratings of their abilities, underscoring the value of having multiple reports. Additionally, women’s reports about their partners corresponded with their partners’ self-reports but men’s reports about their partners did not. Men with higher couple satisfaction reported better emotion regulation abilities compared to their partner’s reports. More work is needed to understand multi-informant differences in adult reports of psychological functioning. 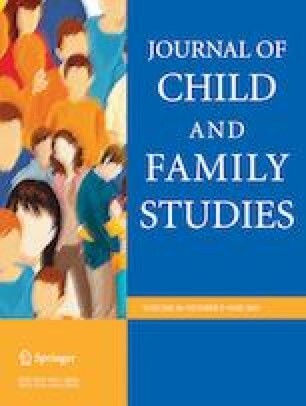 The authors wish to thank the families who participated in this study and Jame Sullivan who assisted with data collection. DP led the writing of the paper; CR designed and oversaw the study and writing; LBR analyzed the data. All procedures performed in studies involving human participants were in accordance with the ethical standards of the institutional and/or national research committee and with the 1964 Helsinki declaration and its later amendments or comparable ethical standards. Ethical approval for this study was granted by the University of North Carolina at Greensboro. Ackerman, R. A., & Kenny, D. A. (2016). APIMPower: An interactive tool for Actor-Partner Interdependence Model power analysis [Computer software]. Available from https://robert-a-ackerman.shinyapps.io/apimpower/.